“The Really Nice One From The Chemist.” Is how my husband and I referred to Em, before we knew her as Em. I don’t always trust my foggy, new-mum first memories of moving to this little town. But I remember turning up with sick babies at the local chemist where she worked and she would be a ray of sunshine. I have lived in a lot of places. I once tried to count all the places I have lived but there were too many and I didn’t have a pen and paper, so I gave up. Being someone who has frequently been “The New Girl” means (I think) I’m hyper attuned to whether someone is warm or cold, welcoming or hostile. Em is the former on both counts. SO much the former. We were cheering when we heard she was going to be a teacher to our kids at our local Early Learning Centre. She is very lovable. At the time, I spoke to another beautiful photographer from Orange called Pip about it and she basically said “Do it! Your photos are already quite romantic.” I thought about it a lot more after that. Weddings are a good fit for me. I already look at everything through rose coloured glasses. I’m overly sentimental. I’m mushy and such an easy crier. Why shouldn’t I just go to all those places in my heart and try to catch them in someone else’s family and friend circle. I mean if I already feel those things all the time surely one intense day of them would be fun. It was fun! Actually, it was so much fun. I had butterflies all day but I worked through it and I’m proud of these pictures. What I hope I’ve captured more than anything is the sense of friendship amongst these lovely humans. Em and Rob met at school. I didn’t know Rob at all but I found him that delightful kind of shy that’s very endearing. The entire bridal party are school friends. Em reckons she was a nerd and Rob was in “The Cool Group”. He and his “cool group” mates built The Hut when they were 15. They chose to have some portraits done there after the ceremony. I got a group shot of them inside the precious Hut, but I had to send the women out. It was such a masculine space and I shot the best photos of the men in it because they relaxed. It’s astounding how much a sense of place can change a person entirely. The women got ready at The Old School House Molong, which is an property my friend Kate rents as holiday accommodation. You can see from the photos, it’s divine. Their hair was done by the incredibly sweet and clever Millie of 17 shades (also a local and my hairdresser). 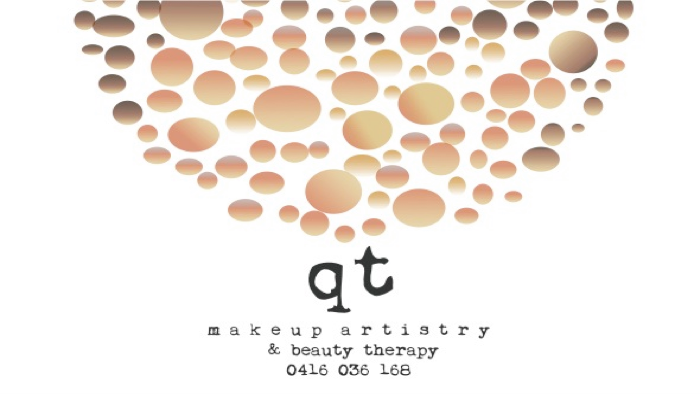 And their makeup by my beautiful friend Tracey of QT Beauty Co. Tracey is so talented. She’s done my make-up before and it was the best ever. The stunning flowers are by Prue Swain. They spent the morning drinking champagne and reading messages from friends wishing them luck. There were some beautiful texts and a card from a pre-schooler (its pictured). Em’s sister cried happy tears at least eleventy billion times. The men meanwhile got ready at Rob’s parents’ home in about two seconds. Throwing on their RM Williams gear – so country. The ceremony was beautifully scenic with flowers adorning a timber archway and peeling painted doors. It was picture perfect. I am SO happy with the fated “Groom’s Face” shot. I felt my heart skip a beat when I saw it in Lightroom. Two of the groom’s men are looking (beaming actually) at Em, and Rob’s best man/mate Kurt is looking at Rob like he’s just purely happy for him. Rob’s expression is perfect. I kidnapped the bride and groom from the reception on their own as the light waned. They have both told me this was one of the best bits of their wedding. I sat them on a rock under a big flowering gum tree. I walked quite far away from them and used my 70-200 lens to capture their almost private moment. Rob kept looking at his ring. They both seemed blissfully happy. I couldn’t hear what they were saying because I was too far away. I made them show me the Brahman calf Em’s dad gave them as a wedding gift. Then I made them go and stand in a patch of burs and catheads (Em had ditched her heels) so Rob had to piggyback her because I liked the light. I love all these shots because the tension of the pre-wedding had completely drained away leaving this glowing, contented haze coming from within my subjects that spilled out of them and into the glow of the perfect golden hour light. I want to thank Emily and Rob for being such a beautiful couple and making my first professional wedding shoot so amazing. There was no pressure. They were so natural. I am also so grateful they have allowed me free rein in terms of sharing on social media and here. I am so, so happy I said yes Em and Rob. I hope you’ll make these into a book and put a couple in frames and treasure the moments you shared that day. I wish you nothing but the happiest life together.